I once tried saying, “Thanks for saying ‘my pleasure,'” and received a sideways look. My current record is four “My pleasures” before they simply nodded to the next customer to approach the counter… I may go for five at the next drive thru. But you have to give it to them: they’ve clearly been trained on exactly how to respond, and they don’t deviate from that script. Here’s the good news about colleges: they’re not Chick-Fil-A. You talk to a student, a tour guide, a professor and an alum and you will get different answers to most questions. This is a good thing. Last week we talked about asking better questions and follow up questions (and we established U2 as the best rock band of all time). This week we look at the questions you should ask over and over again to as many people as you can. 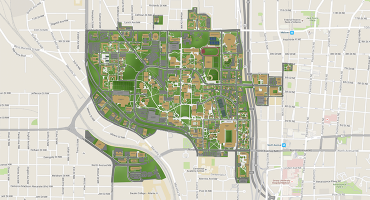 What makes this campus different or unique than other schools? This question is ESSENTIAL. If the student or tour guide or admission counselor or faculty member cannot answer that question, RUN! One of the most challenging parts about the college admission process is discerning how one school stands out from the other 4,000 in our country. This is a CRITICAL question, and you need as many different voices to respond as possible. 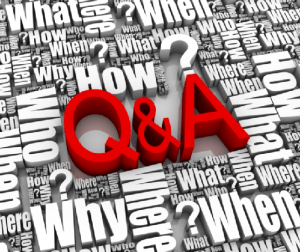 Look for the answers online, and ask the question in information sessions. Talk to alumni about it. If you find some uniformity, you have likely found the school’s real identity. If you find great variance, you may be excited by the possibility of literally doing anything you want there. But if you find an inability to articulate a unique culture, you have a problem. What is the most exciting thing happening on campus? If this is all about sports and you are not a fan, who cares? If this is all about some new building in a major you won’t be pursuing, who cares? If this is about political activism or the new vegan options or the 16 screen movie theater and you are an apolitical carnivore who has a fear of loud noises and big crowds, none of this will matter to you. But if their answers are all about the incredible start-up culture or the ways students work together to solve problems or the decision for all students to have an international experience and those are your passions, you have broken through the noise and found a real fit. Congrats! What question has not been asked today that should be asked? Good one to work in at the end of a tour or an information session. This gives them an opportunity to hit on something that really matters to them. It will not be scripted, so you can count on it as being authentic and honest. What do you wish you had known before deciding to come here? I’d ask this to students, tour guides, and, frankly, professors or admission staff who may not even be alums. There’s no way you’ll get a consensus “My pleasure “on this one. And the responses you get will give you more information to consider as you make your decision to apply or attend. Are all of those “pleasant surprises” about how nice folks are, or how good the weather is, or all the things to do near campus? Or are they predominantly negative about how expensive it is to live in that area, or that there are not direct flights to most places, or the food is terrible, or the girls are all mean? Again, this is simply information for you to digest and contemplate. What has this college provided you to set you up for success and fulfillment in the future? Here again you can ask this of freshmen, seniors, recent graduates, or alumni well into their careers. This is also pertinent to faculty and upper level administrators. Are you hearing answers like, “The incredible network” or “the phenomenal reach and reputation” or “the ability to think critically and work collaboratively toward solutions,” and do those answers resonate with your goals? Bonus questions (for overachievers or those who want five but did not like one or two of the above): What has disappointed you? What do you wish were different? What is the most frustrating thing you’ve run into? Where do you see this school in five years or ten years? Here is the bottom line: Don’t take any one person’s opinion as gospel truth. I am the Director of Admission at Georgia Tech. But I am not the expert on all things Georgia Tech. To be honest, I’m not the expert on much at all on campus. And the same is true for any alum, or any tour guide or someone in the Chemistry department. Neither your sister nor the school President have a corner on the market of THE REAL STORY. 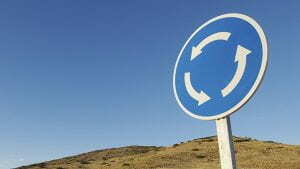 It is the combination of all answers, all experts, and all perspectives that will serve you the best. So use message boards and social media and read the school paper. But most of all ASK YOUR QUESTIONS. And ask them to as many people involved with each school as possible. In the world of college admission there is always debate about the “best school” in the nation. As quickly as someone holds up Stanford or Harvard, someone else will poke holes in the methodology, or challenge that they may not be tops for every major, and so on and so forth. There are so many varying “sources” online these days that almost every school can tout a high-ranking or review in one area or another. “We’re among the nation’s best in ROI, or in STEM fields,” “We are the nation’s Greenest college” or “We have the best ice cream.” There is almost never a consensus or agreement on who really is “the best.” Perhaps that’s the beauty of this field– lots of great options and a desire to be the best in one thing or another, but clearly there is not a unanimous #1. But in the world of music a definitive leader is apparent; a band that rises above the rest and leaves no room for debate: U2. From their lyrics to their history to their longevity, they simply define greatness. Glad we’ve established that. The emails and the brochures paint the same Pollyanna pictures, mixing appropriate diversity with studious learners closely inspecting a beaker or electrical circuit.. Don’t accept the Charlie Brown speeches. As you talk to people at different colleges, turn off the switch that has them rambling about studying abroad or the number of applications they received and ask them something better. 1) You ask: “What is your faculty: student ratio?” This number may not include faculty who are doing research and teach only one class, or those who are on sabbatical, and so on. For example, Tech’s ratio is 18:1, but that doesn’t mean you and 17 buddies will be sitting around a table in Calculus I your freshman year. These stats are compiled for publications to be comparative. So while helpful in that regard, they don’t tell the whole story. You SHOULD ask: “What is your most common class size?” This question gets you right into the classroom. Schools rarely publish average SATs or GPAs but rather bands or ranges. Likewise, you want to look at their ranges and variances within class size. Our most common class size is between 26-33, and around 7% of our courses have over 100 students in them. That type of information will be far more helpful to you in framing expectations and determining what kind of experience you will likely have. And THEN ask: How does that vary from freshman year to senior year? Is that true for all majors? What does that look like for my major? I had an intro Econ class at UNC-Chapel Hill that had 500 students in it. But that was not my undergraduate experience. In fact, that was the only course I took all four years that was over 100. Similarly, one of my favorite student workers at Tech was a senior Physics major whose classes had seven, 12, and 16 students in them. But rest assured that during her freshman year she sat in a large lecture hall for Physics I. Your job is to probe. Your job is to dig and to clarify. 2) You ask: “What’s your graduation rate?” Schools do not answer this the same. Some will give you their four-year grad rate, some five, and some six. The variance is not an effort to be misleading or nefarious; they have been trained to respond with an answer that is most representative of their students’ experience. Most four-year, private, selective liberal arts schools would likely not even think to respond with a five or six-year rate because there is no significant differentiation and their goal is to have all students graduate in four years. That’s how they structure curriculum and it is their culture. You SHOULD ask: What is your four and six-year graduation rate? And at those two intervals what percentage have either a job offer or grad school acceptance letter? Who cares if you have a high graduation rate if your job placement rate is low? And THEN ask: How does grad rate vary by major? What percentage of students who double major or study abroad or have an internship finish in four years? My opinion is too much emphasis is put on this clock. Unfortunately, much of this is antiquated and driven by US News and World Report rankings (we won’t delve into this too much, but you can read about here). If you are taking advantage of opportunities on a campus like picking up a minor, or participating in a co-op, or working to offset costs, or going abroad to enhance your language skills, and all of those things are translating into lower loan debt and more job or grad school opportunities when you are done, then who cares about the clock? 3) You ask: “What is your retention rate?” Great question.. and an important one. Most put the national average somewhere in the 60-65% range. But as you can see from that link, it varies by school type and student type. So when a school says their first-year retention rate is 85%, that’s great, right? You SHOULD ask: Why are those other 15% leaving? Is it financial? Is it because the football team lost too many games? Is it academic and they’re not prepared for the rigor of the school? Is it because the school is too remote or too urban or too big? Follow up. Ask them to articulate who is leaving. Tech has a retention rate of 97.3%, which is among the top 25 schools nationally and top five for publics (these are statistics here, friends, not rankings). But we are constantly looking at who is leaving. Surprisingly, for many alumni and others who know the rigor of Tech, it’s not exclusively academic. It’s a balanced mix that also includes distance from home, seeking a different major, financial reasons, and, increasingly, because students are starting companies or exploring entrepreneurial options. Some schools have retention rates below the national average, but they’re losing students who are successfully transferring to state public flagships or into specialized programs in the area. If that’s your goal, then you can be okay with a lower retention rate, right? 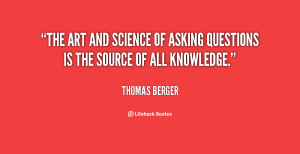 Don’t be too shy to ask questions. This is your job… Not your mom’s job…. Not your counselor’s job. Your job. DO YOUR JOB! And THEN ask: What that’s it? Nope. We’ll continue this next week because I have more questions…and so should you. On Sunday afternoon, my wife and I went to a spin class. If you’ve not done one of these, it’s basically a lot of people on stationary bikes in a small, dim room, with music that accompanies it to aid in cadence and motivation. Ultimately, you control your own pace, but the instructor in the front calls out instructions on when to add tension, when to stand up and sprint, and when to recover, all in sync with the beat of the songs. Well, because it was Super Bowl Sunday (no comments on the outcome please… just typing this is difficult), our instructor had on a Falcons jersey. I’d never seen this particular woman before, but she did not strike me as a big football fan. What can I say? When you know you know. As class started she made a few comments like, “Okay, let’s get some work in before the big game.” And intermittently through the first few songs, “Push harder up the hill so you can eat whatever you want tonight,” or “Dig deeper and really work now. Just like the Falcons are going to do against the Patriots.” Eesh. I could not help cringing a bit and squeezing the handlebars a little tighter while scrunching my nose and eyes on these comments. It all felt so forced, as if she felt compelled to wear the uniform and make some references since it was the Super Bowl. Then we came to the second to last song. At this point, after riding hard for 45 minutes, you really do benefit from good music and encouraging commands from the instructor because you are pretty spent. As the beat started, I knew things were going to go downhill (no pun intended) fast. And they did. “Okay, Falcons fans. Close your eyes as you pedal. Imagine that you are there at the game. It’s first down, second down, third down. They pass and score. Julio Jones is in the end zone for a touchdown.” I cocked my head to the side to look at my wife as if to say, “Are you kidding me?” She just looked back at me, knowingly shook her head, and smiled. At that I raised both eyebrows and opened my eyes wide. She gave me a look that said “Be nice” and went back to looking straight ahead. I won’t go into much more detail here, but suffice it to say it got worse. A LOT WORSE. Since that was the last “working song,” the next one was a cool down where you take your hands off the handlebars, slow your cadence, and do some stretching on the bike. Naturally, at that point, all I could think about was the college admission process. I have written before that your college essay and short answer questions are your opportunity to help us hear YOUR unique voice. Throughout the rest of the application, grades, course choice, test scores, and even in your extra-curricular activities, you cannot communicate your voice—and it’s an essential differentiator. Because it is so critical to our review and to your “fit” for each school you are applying to, it’s even more important that you are genuine in your responses. Are you pensive, deep and brooding? That’s great… love to hear it. But don’t try to summon your inner Emily Dickinson if you know for a fact she’s not in there. And the same is true for humor or rhymes or new words you may have found on Synonym.com. Last week I was at a high school junior class program to “kick off” the college admission process with parents and students. In my speech, I made this comment verbatim, “We want to hear YOUR unique voice.” Afterward, a young woman came up and said she did not understand what I meant. I have sat on panels and overheard some pretty confounding advice: “Push yourself academically, and do what you love, but set a good foundation because it’s all about preparation.” “Don’t forget you also need to know you’re in competition with the applicant pool, but really with yourself, and kind of with the curriculum too.” Yeah, that’s a little bemusing. 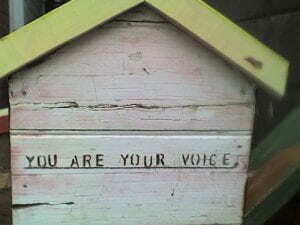 But “your voice” is just that: your voice. There is no hidden message. In other words, before you go donning the jersey, making the music selection, and wading into completely unfamiliar territory, take a hard look in the mirror. You know you, so find your voice. You do you. You’ll thank me, and more importantly, you’ll thank yourself. 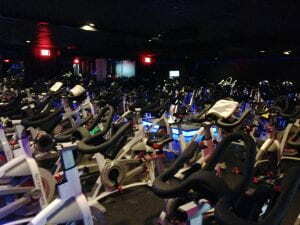 At the end of spin class, everyone gets off their bike and stretches. And as I stood there in moderate pain, still pondering college admission, I realized this class (and therefore this blog) was a two-for-one lesson. See, at this point, you have three choices of how to stretch: (1) put your leg up high on the handlebar, (2) mid-range on the seat, or (3) at the lower crossbar. My wife throws her leg up on the handlebar and puts her head to her knee as if that’s normal. Me? Not so much. I typically start at the lower crossbar and work my way up to the seat. Here’s the thing: You will find that schools are very transparent with their academic profiles. Normally, they’ll publish these on their website and in their brochures as middle 50% ranges. For example, last year at Tech, our mid-50% range was 1330-1440 SAT or a 30-34 ACT. Our new freshmen averaged between 7-13 AP/IB/college level courses and were primarily making A’s in those classes. We often talk to students who are literally ONLY applying to Ivy League or Ivy-type schools (normally at the prompting of parents). Even if you have A’s, good classes and nearly perfect test scores, this is a BAD IDEA. How do I know? We denied about 500 students like that in Early Action this year. And keep in mind that at 26%, our admit rate is three times higher than Harvard’s. Listen, I am all for you pushing yourself. I love the confidence. Want to take a crack at throwing your leg up on the handlebars? Go for it. Just be sure you have a few schools on your list in the seat and low crossbar range too.